The Mutual series, sponsored by Helbros Watches, debuted June 10, 1945, airing Sundays at 6pm. The scripts by Howard Merrill and Ed Adamson were in the lighthearted tradition of Mr. and Mrs. North. 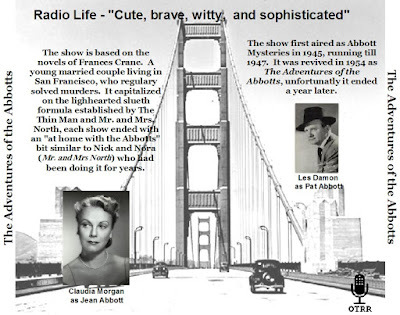 Julie Stevens and Charles Webster starred as Jean and Pat Abbott, a San Francisco married couple who solved murder mysteries. In the supporting cast were Jean Ellyn, Sydney Slon and Luis Van Rooten. Moving to 5:30pm in 1946, Les Tremayne and Alice Reinheart took over the roles until the end of the series on August 31, 1947. 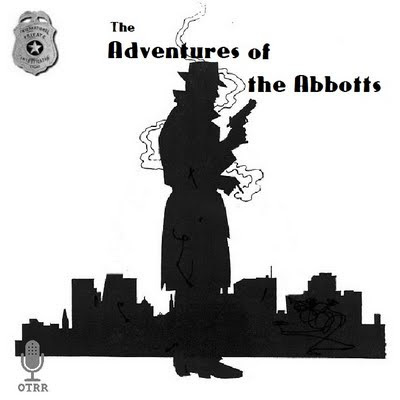 Seven years later, the characters returned October 3, 1954, on NBC in The Adventures of the Abbotts, broadcast on NBC Sunday evenings at 8:30pm. 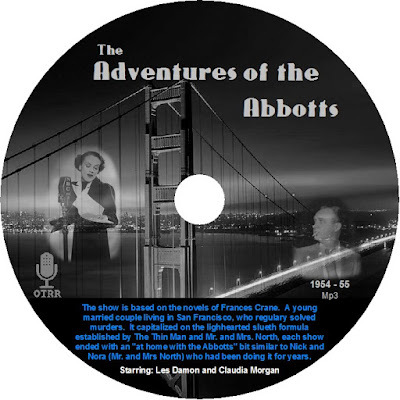 In this series, the Abbotts were portrayed by Claudia Morgan and Les Damon. The NBC series ran until June 12, 1955.